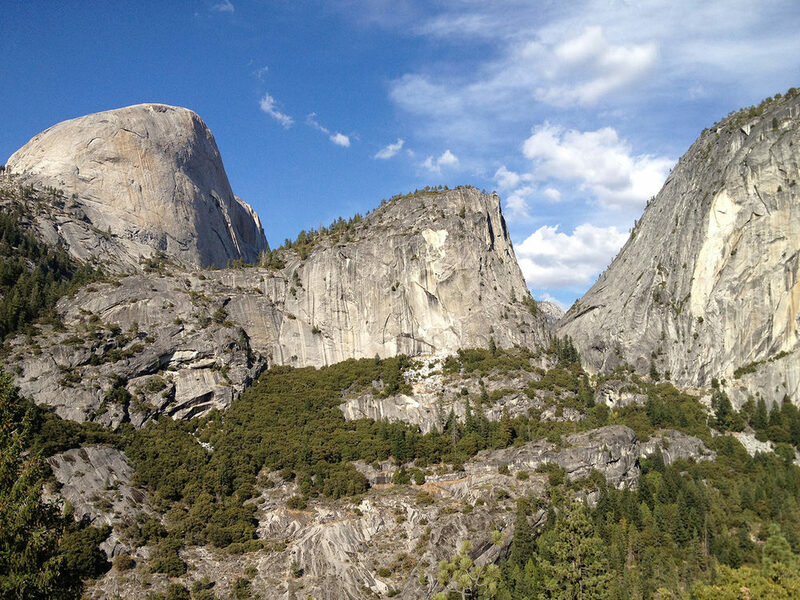 The trail is 211 miles long with a total elevation change of 80,000. feet. 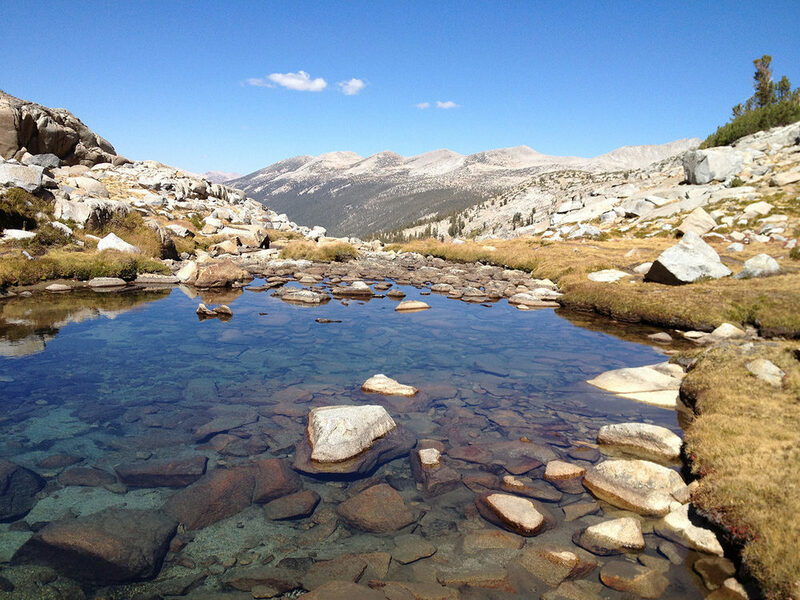 I hike the first 57 mile segment from Yosemite to Reds Meadow in five leisurely days. To lessen weight I only take the outer fly of my tent. I have to internally fortify the fly one night because of fierce winds. Lyell Canyon is a delight. Twisted trunks look like Roman columns. Horses etch solid walls in paths. Devil's Postpile and end of the trip.